Big Ben Master set in green paintbrush in original box. Big Ben Master set in green paintbrush. Big Ben coral pencil, engraved "GEORG JENSEN," the famous Danish silversmith. Big Ben set in purple paintbrush pattern. 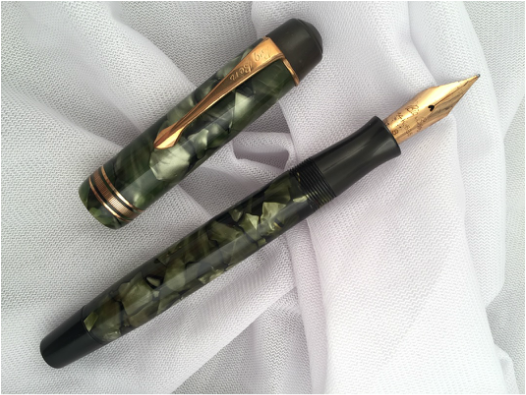 Big Ben green marbled pen with No. 8 nib. Big Ben set, gold-filled caps. 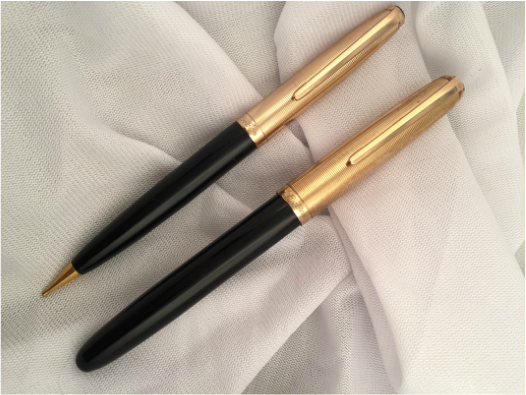 Big Ben solid 14K gold pen set. Big Ben set in brown paintbrush pattern. Big Ben Cardboard Advertising Sign. 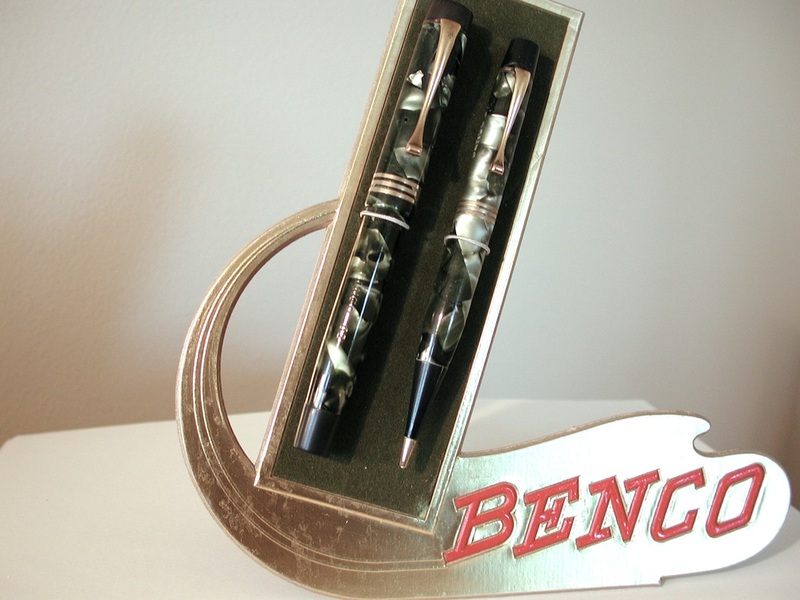 Benco Set in store countertop advertising display.